American poet, percussionist, calligrapher, actor, occultist and publisher Angus MacLise (1938-1979) counts as one of the central figures of the ‘counterculture’ of the 1960s and 1970s. 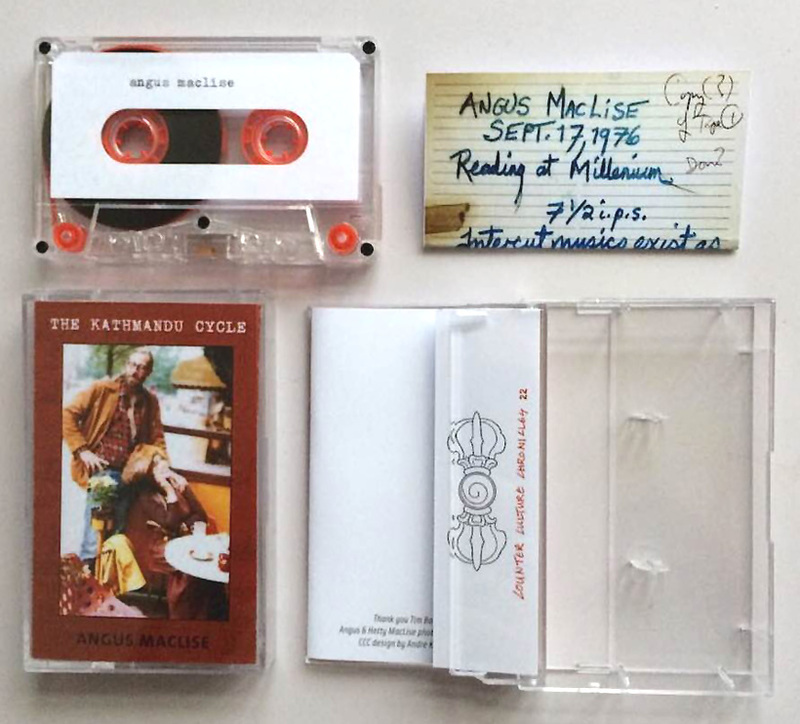 MacLise was a member of La Monte Young’s The Theatre of Eternal Music, contributed to the early Fluxus newspaper VTre, founded the Dead Language Press together with his friend Piero Heliczer (in some of whose films he appeared), was the Velvet Underground’s first drummer, and co-founded the legendary Spirit Catcher bookstore in Kathmandu. 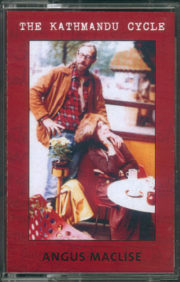 MacLise produced scores for the underground classics Chumlum by Ron Rice and Invasion of Thunderbolt Pagoda by Ira Cohen and, together with his wife Hetty McGee, edited Aspen Magazine #9 in 1971. Maclise married Hetty soon after he had left (or some say had been kicked out of) an early incarnation of the Velvet Underground in 1965 and had moved to California, where Timothy Leary led their wedding ceremony in Golden Gate Park, San Francisco. No sooner had the couple finished their work for Aspen Magazine in 1971 than they travelled to British Columbia, where they wanted to settle down but were refused visas. They eventually found a new home after having followed the hippie trail to Kathmandu, Nepal, where their son Ossian was recognised as a reincarnated Lama by the Karmapa, the head of the Karma Kagyu. Angus MacLise was a heavy drug user and his addiction to opium and heroin in combination with a relentlessly creative and fiercely uncompromising lifestyle proved fatal. MacLise, only 41 years old, died in Kathmandu in 1979 and was cremated there according to the traditions of Tibetan Buddhists. During his stay in Kathmandu in the 1970s, MacLise occasionally made trips to the west. Together with his wife and son and in the company of Ira Cohen and Petra Vogt, he travelled to Paris in 1975. And one year later he read poems during the Millennium Poetry and Multimedia Performance in New York City. 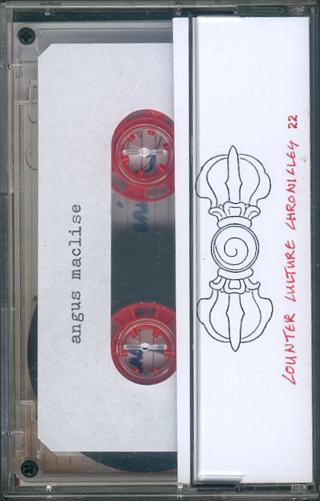 The recording of this reading, dubbed directly from the master tape, has now been released on cassette by Counter Culture Chronicles. Against a background of Nepalese music recorded by MacLise himself, the poet is heard reading seminal works in a sensitive, at times even vulnerable voice. This cassette is in all respects a genuine and rare countercultural gem from René van der Voort’s amazing label.